Since its founding in Rome in 1884, Bulgari has become synonymous with innovation and luxury in jewelry design. 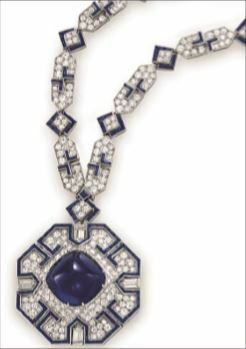 After World War II, Bulgari began to create a unique style inspired by Greco-Roman classicism, the Italian Renaissance, and the 19th-century Roman school of goldsmiths. Kay Payne, docent and lecturer with the Fine Arts Museums of San Francisco, will discuss Bulgari’s innovations in jewelry design from 1950-1980. Kay Payne is coordinator of the Museums’ Community Speakers Program. She received the prestigious 2012 McNeil Volunteer Recognition Award, which allowed her to initiate an Advanced Art History course for Bay Area high school students.